We have been travelling for months now, and this place was like little retreat. The owners are perfect! The reviews fooled me. The place running down badly. It is not even 3 stars hotel. Things in reality completely different from photos. Maybe it was good in the past but definitely not now. The breakfast is aweful. The only problem is that the hotel is a bit out of the centre. Apart from that well looked after, nice, comfortable pool area, clean, functional rooms and a more than adequate breakfast. We booked one night (mind you on at a discounted rate) but seemingly because of that were put into a basic room. No ambience, average bathrooms, and basic facilities. Nothing special about this place. I stayed there 2 nights with my friend. We booked a sea view room on Agoda but at the arrival it was no seaview room available. But for the2nd night it was ok. The hotel is very quiet because not in busy area. The room is clean and functional. Wifi works good. The breakfast was simple but excellent. The kindness of the staff and the owner is huge. I'll stay there again for sure when i come back to Kep. Loved staying at this hotel, it was a walk to the crab market but we enjoyed seeing the sights on the way. It was just up the road from the jetty to rabbit island so just a stroll drown to catch ferry. Annemarie was lovely. Would stay there again. Lovely property. Clean pool. Caring and helpful staff who let us check in early. Room is spacious and clean. Located near the ferry to rabbit island but a few km's from Kep Beach and the crab market, so you will need to utilize tuk-tuks. Captain Shim's is a good restaurant in walking distance. The hotel is quite far from the bus stop and the main attractions but that's what tuktuks are for! We managed to get one from the beach for just 75 cents so very cheap. Really nice accommodation though with very helpful staff and a really nice pool. There are some nice restaurants close by within a 10 minute walk that offer very cheap food. We did ask the staff where the nearest restaurant was and they said we would have to get a tuktuk to town which wasn't strictly true but that's why it's good to do your own research. 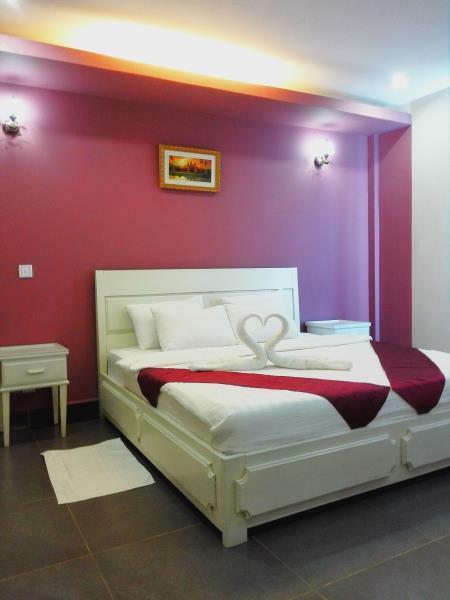 Very comfortable air conditioned rooms with fridge and lots of channels on the TV. Ideal place for relaxing. 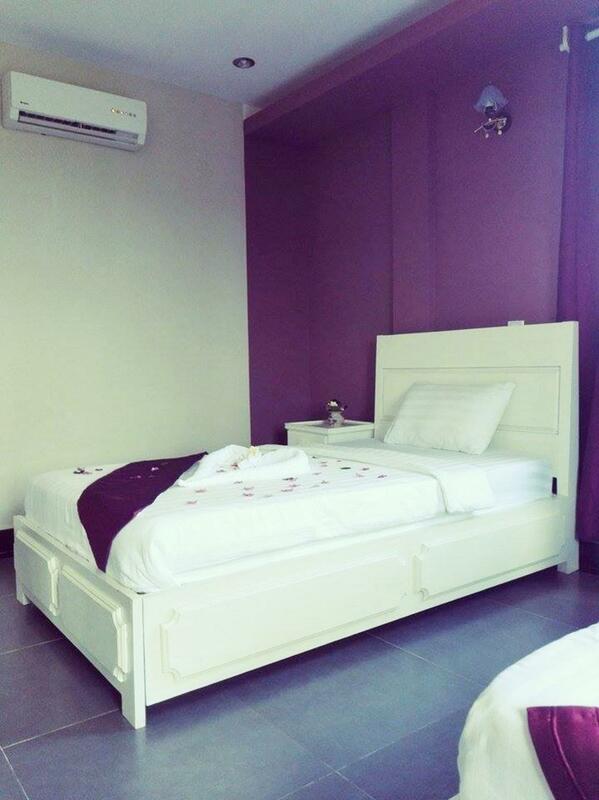 Beautifull and clean rooms, swimming pool for chill, not far from rabbit island pear. Amazing owner and staff, spent à great Time! This place was really nice. Very good pool. Very nice lady at the reception was always taking so good care of us. Breakfast was good, consisted of many things. You should definitely hire a motorbike while staying there because its a little far from the Kep Beach area where most of the bar, restaurants and shops are. Au pradis bleu is a very well kept, nice looking and tranquil hotel with a great pool area surrounded by lovely tropical plants. The hostess, Ann-Marie is friendly and you really feel wellcomed! The service is good and also individual wishes are taken account, like they can repair a meal for you according to your choise. 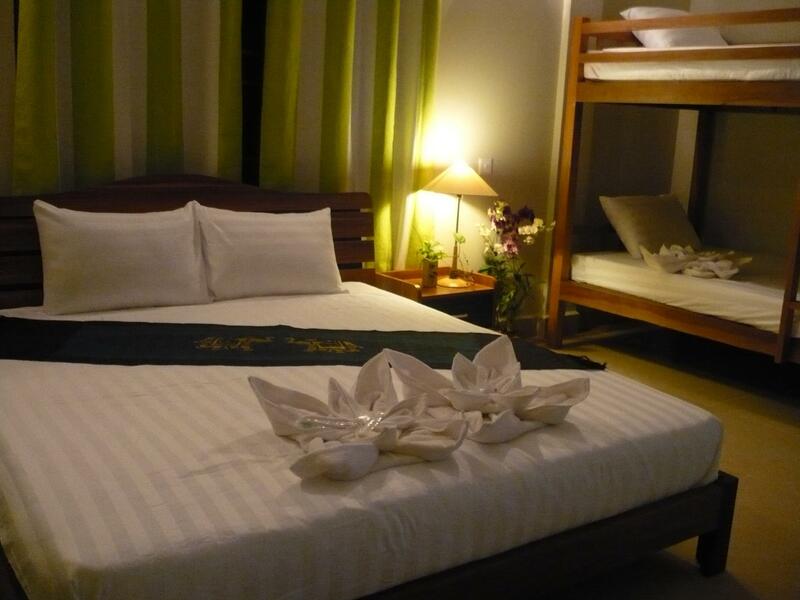 The rooms and other facilities are very clean. Bikes are available for the quests without extra fee. Location is near the peer for boats to Rabbit island and Kep coffee shop. Perfect place to rest and enjoy the seashore relaxation. 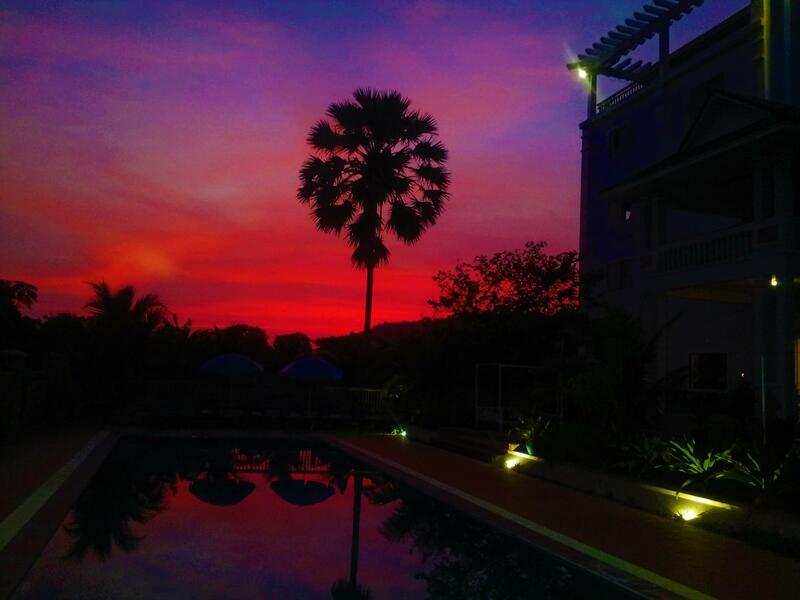 We got a great price on Agoda and were really looked after by the staff; they were kind, chatty and helped us organise our day trips and transport to Kampot when we left. Everything was great and it felt like a real holiday escape. I will book here again on my next visit to Kep! All the staff contribute to a pleasant stay. Good ,clean room. Pool big enough. Will use this hotel again and recommend it to fellow travelers. We felt that the information for this hotel is misleading. the rooms have, 'seating area', telephones, mini bar, tea and coffee equipment, hair dryer, bathrobes. None of which were available in our room. There was one chair in a corner, and we requested tea and coffee equipment and recieved it. We also had to ask for shampoo and extra toilet paper. The comforter on the King sized be was too small, maybe a Queen comforter, and we had to deal with a large roach each of our 4 nights there. Overall, overpriced and we feel like we were lied to about the facilities.